Breakfast: Smoothie (pineapple, apple, mixed berries, water, almond butter, chia seeds, pomegranite juice) I know you aren’t supposed to have smoothies, but I had an early morning meeting I had to run to and didn’t have time to cook and had to eat on the run. How I felt: Stomach still not back to normal. It still hurts and I am having to run to the toilet more. How I felt: Still suffering with my stomach. Have feeling of fullness much more while I am eating and don’t feel the need to snack anymore. This is more from the pain than anything else. Still having feelings of frustration that I am doing this diet to heal my UC and it is in a current flare and only seems to be getting worse. Took a mesalmine last night to hopefully calm it down. 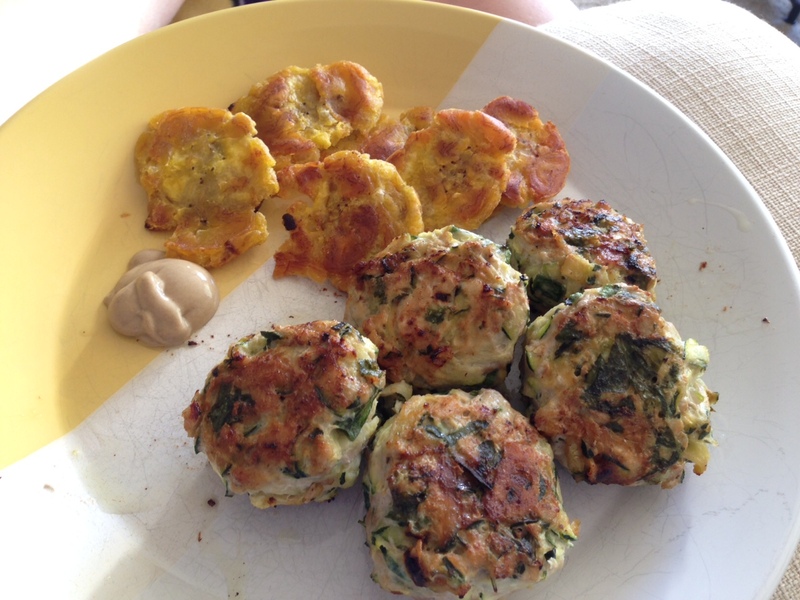 Those zucchini fritters look tasty!